DENSO Products and Services Americas Inc. has announced it will serve as the lead sponsor of Pro Stock Motorcycle racers Angie and Matt Smith in the 2019 NHRA Mello Yello Drag Racing Series. The move builds on DENSO’s support for the husband-and-wife teammates by elevating DENSO’s associate sponsorship of Matt to a primary sponsorship and renewing DENSO’s primary sponsorship of Angie Smith for the second consecutive year. The 2019 Mello Yello series kicked off Feb. 7-10 with the Lucas Oil NHRA Winternationals at the Auto Club Raceway at Pomona in Pomona, California, the first of 24 weekend races during the nine-month season. Angie Smith raced on a new bike – the DENSO-powered EBR motorcycle – the same model that carried Matt Smith to victory last year. Throughout the series, both will ride on DENSO Iridium spark plugs. In addition to sponsoring Angie and Matt Smith, DENSO is the title sponsor of the DENSO NHRA Four-Wide Nationals at The Strip at Las Vegas Motor Speedway scheduled for April 5-7. DENSO has served as the title sponsor of the weekend race and a supporting sponsor of the entire NHRA Mello Yello Series for the past three years. 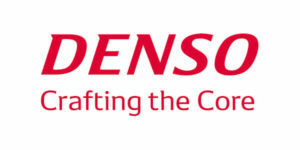 In August, DENSO extended the title sponsorship through 2021. At every race, DENSO welcomes fans to Nitro Alley, the midway, to learn more about and purchase DENSO’s premium Iridium TT, Iridium Power and Iridium Racing spark plugs. DENSO also posts its own race and product updates on Facebook, Twitter, Instagram and YouTube throughout the series.